[30-12-18 18:14:36] - TRADE : From Predators to Jets : Karl Alzner (78)- Par Lindholm 2017 (P). [30-12-18 18:14:36] - TRADE : From Jets to Predators : Ryan McDonagh (79). [30-12-18 18:14:35] - Karl Alzner was added to Jets. [12-11-18 18:45:55] - Nik Antropov has been selected as assistant for Moose. [12-11-18 18:45:55] - Unknown Player is no longer as assistant for Moose. [12-11-18 18:45:55] - Brooks Orpik has been selected as assistant for Moose. [12-11-18 18:45:55] - Brad Boyes has been selected as captain for Moose. [12-11-18 18:45:55] - Unknown Player is no longer captain for Moose. [12-11-18 18:45:55] - Pavel Datsyuk has been selected as assistant for Jets. [12-11-18 18:45:55] - Unknown Player is no longer as assistant for Jets. [29-10-18 19:29:02] - Mark Giordano was released. [29-10-18 19:29:02] - Jets paid 0 $ to release Mark Giordano. [22-10-18 20:19:21] - TRADE : From Jets to Lightning : Nick Suzuki (P). [22-10-18 20:19:21] - TRADE : From Lightning to Jets : Tanner Pearson (75)- Y:8-RND:3-NYI. [22-10-18 20:19:20] - Tanner Pearson was added to Jets. [17-10-18 00:19:48] - Josh Andersson has been added to Jets. [17-10-18 00:19:24] - TRADE : From Jets to Capitals : Josh Anderson (74). [11-10-18 19:44:19] - Moose hired Troy Ward for 750Â 000 $ for 2 year(s). [10-10-18 19:39:23] - Francis Pare was added to Jets. [27-09-18 18:48:17] - Steven Hodges has been deleted from Jets. [27-09-18 18:48:13] - Chris Calnan has been deleted from Jets. [27-09-18 18:48:06] - Josh Anderson has been deleted from Jets. [27-09-18 18:48:02] - Derrick Pouliot has been deleted from Jets. [27-09-18 18:39:34] - Derrick Pouliot was added to Jets. [27-09-18 18:39:25] - Josh Anderson was added to Jets. [19-09-18 18:12:11] - TRADE : From Jets to Lightning : Jakob Silfverberg (77)- Nick Bonino (72)- Olli Juolevi (P). 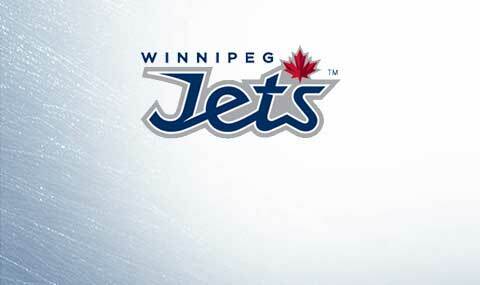 [19-09-18 18:12:11] - TRADE : From Lightning to Jets : Cody Hodgson (76)- Tyson Strachan (64)- Nathan Noel (P)- Pierre Engvall (P).